Version 2018.1 Click to Register this Product Now! Version 3.90 Click to Register this Product Now! Version 8.16 Click to Register this Product Now! Version 4.2.35 Click to Register this Product Now! Version 9.9.4 Click to Register this Product Now! Version 4.22 Click to Register this Product Now! Version 6.96 Click to Register this Product Now! Version 2.5.1 Click to Register this Product Now! Version 2.51 Click to Register this Product Now! Wireless POS with your Windows Phone or PC - Server Module. A POS / Inventory solution. 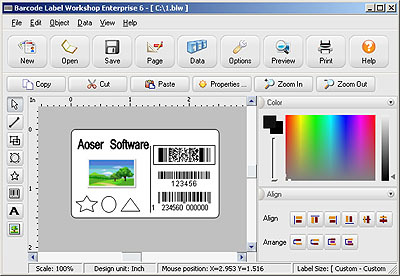 Award winning Barcode Fonts software easily generates product commodity stickers and easily supports all major Windows OS. 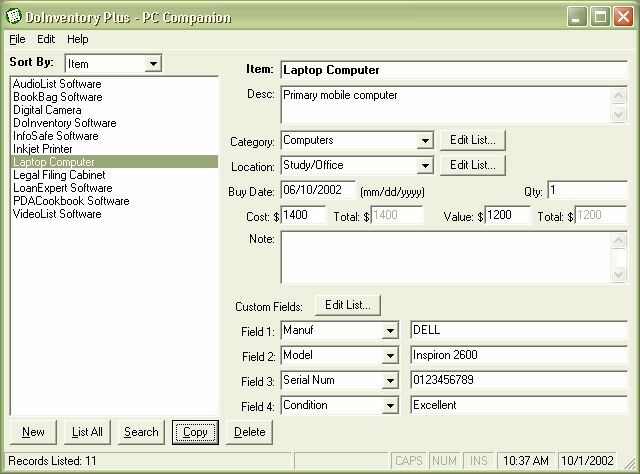 Asset tags maker software creates security coupons and facilitates to save designed barcode images at desired PC location. Version 4.2 Click to Register this Product Now! 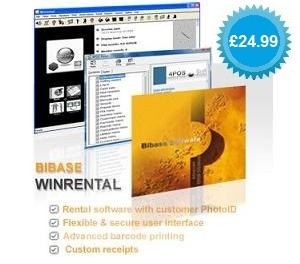 Video rental software with PhotoID cards and barcode printing $49. It maintains customers, inventory and rental / sales information. Features include member image, email reports and overdues, sales taxes, reports. Version 2.9.2 Click to Register this Product Now! Nemo Registry Docotr Software can help to optimize Windows registry in security, and speed up you computer quickly! It helps to clean Windows registry to speed up your computer! Morovia Code 128 fontware package consists of 20 true type fonts and a language tool kit. At any point size, there are 5 different barcode heights to choose from. At any height, the user has 2 options: either with human readable text or without. Version 2010-1 Click to Register this Product Now! The barcode generator allows you to create a barcode graphic by providing barcode data, encoding type, and output file format. Click on the Generate Barcode button, and the barcode generator will produce a graphic containing your barcode. 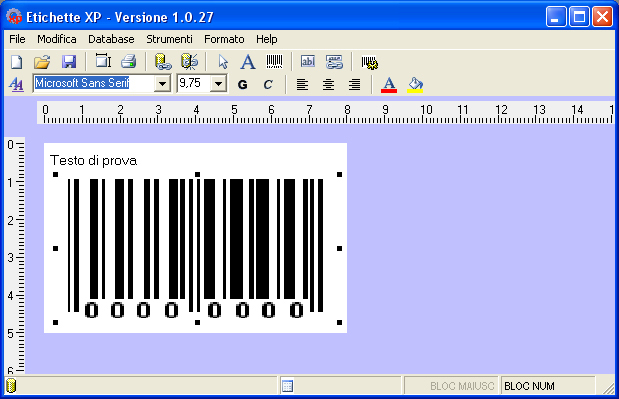 Label for Barcode software to generate bar code to develop business management and inventory system. 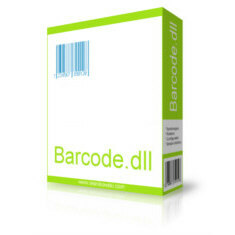 Barcode label software make bar for all shape and size. Barcode maker identifies the bar on by scanning the product with scanner tool by scanning. Barcode Generator generates barcode graphic by providing barcode data select standard font, and output barcode image file and printing with print preview. 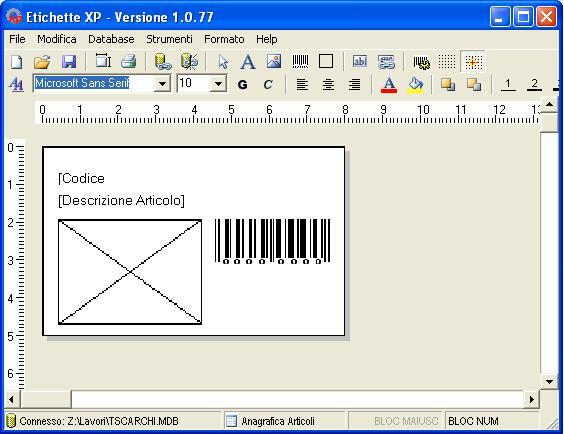 Barcode Generator creates most usable fonts incluiding UPC, code 39, code 128, Ean, ISBN etc. Barcode Label Printing software is the most economical application which comprehends more than 35 barcode fonts for Windows OS. Barcode Label Printing software creates 36 types of 1D 2D barcode standards include UPC, Code 39, EAN 13, ISBN etc. Version 1.7.1 Click to Register this Product Now! Barcode Inventory Software is the competent solution of the need for the simple, easy & powerful but convenient software to create & print bar codes with 36 types as Code 39, Code 128, UPC, EAN-13 etc with image formats EMF,BMP,JPG, GIF,TIF & PNG. 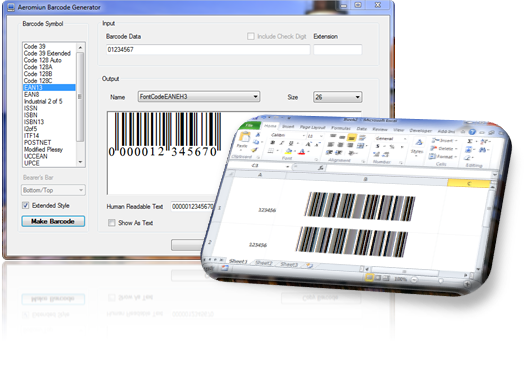 Create Barcode Software is the proficient solution for generating taylor-made barcode labels. Create Barcode in 36 types font as Code 39, Code 128, UPC, EAN-13, EAN-8, POSTNET, QR Code etc with various image formats EMF, BMP, JPG, GIF, TIF and PNG. 1D & 2D Barcode Software creates barcode labels with feature of customizing different barcode label attributes as size, label types. 1D & 2D Barcode Software allow printing of barcode labels by organizing the label attributes according to your need. Barcode Generator creates barcode graphic by providing barcode data, standard font, output barcode image file and printing with print preview. Barcode Generator creates coloder barcodes with feature of change barcode size, caption font etc. Barcode Printing Software creates print customized predefined barcode label template. Barcode Printing Software create bars with 36 types font as UPC, ISBN, Code 39, Code 128, EAN etc with various image formats as EMF, BMP, JPG, GIF, TIF and PNG. 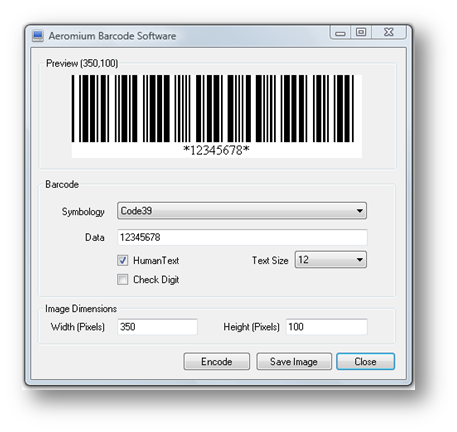 Barcode Label Creator creates barcode labels with feature of customizing different barcode label attributes. 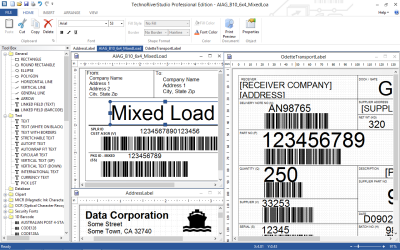 Barcode Label Creator provides printing of barcode labels by organizing label attributes with templates Aone, APLI, Ace, Avery labels etc. 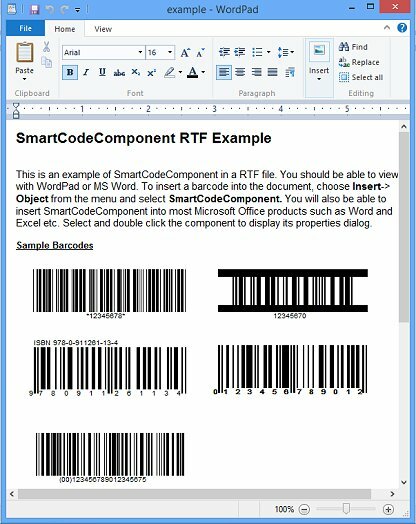 Barcode Creator software generates random and sequential barcode label graphic image files for scanning purposes in more than 35 barcode fonts such as Code 39, Code 93, Code 128, UPC-A, UPC-E, EAN-13 etc with image formats EMF,BMP,JPG, GIF,TIF & PNG. Version 4.0.5 Click to Register this Product Now! QuickBooks Point of Sale Trial Software helps your business to improve inventory control and management by; inventory management, identify profit margins, track order history integrates with key business solutions or hardware. 1.Write daily diary.2.Alarm.3.Favorite.4.System tools. 5.Run purposeful procedure at starting Desktop Angel.6.Player.7.Game. 8.Metrology. 9.Calculator.10.Receiving and dispatching E-mail.11.Calendar.12.Set shortcut key. Easy Sale System is an inventory & sale management system for Most Types of Retail Business & Small Business. With Easy Sale System you can manage your products, check the Statistic, print the receipt and make things easy. Easy to overview and easy to use, self-evident screens. Unlimited company, simple and quick invoice creation. Print or email fine looking invoices with Your company's logo. Calculate discount rates on invoices. Email your invoices in PDF format. Now you can take advantage of ALL Google Base has to offer. No more spreadsheet or ftp programs. The absolute easiest way to submit your items to Google Base. Just fill in the boxes, and click. Free upgrades for life. IntelliTrack Fixed Assets Software Easily track assets through your organization. Know where your assets are, what's missing, what's been moved. See who’s responsible for an item. Calculate depreciation. Easy barcode printing and reporting. 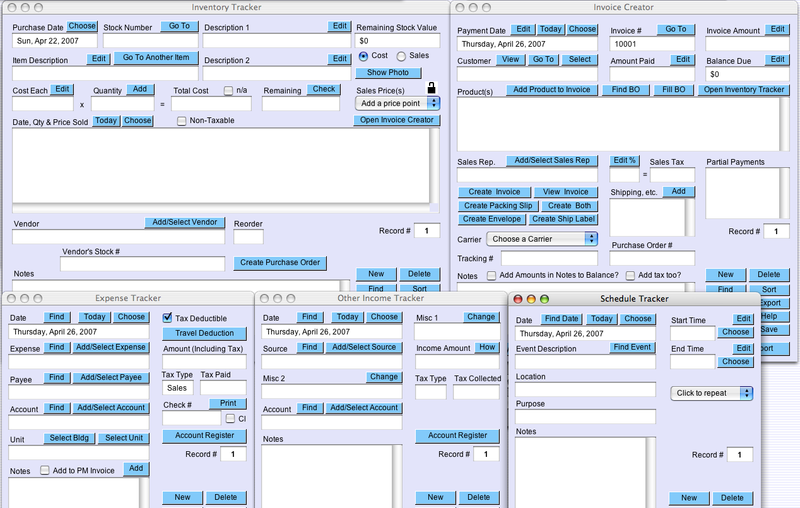 With Booking Manager you could manage your center facility reservation efficiently. It's equally suited to public situations such as Clubs, Sports Center, Universities, or Libraries where facilities needs to be reserved in advanced. Small Warehouse ISRP Software - easy, affordable: IntelliTrack ISRP is fast, affordable inventory and tracking. Portable data terminal. bar code data collection. 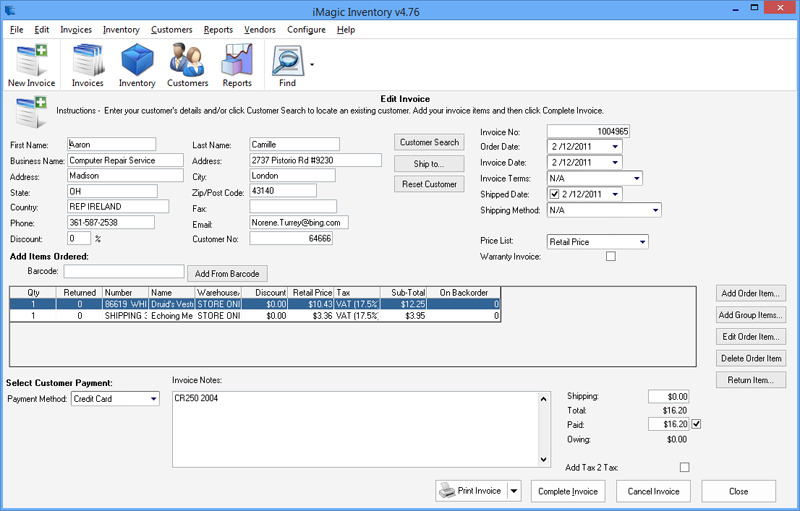 Secure Windows-based inventory management, bar code integration and label printing. Library database designed for General Medical Practice. 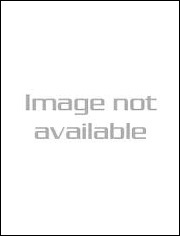 Search on Title, Author or Keyword. Designed for Network use. 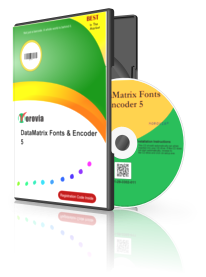 Morovia code 93 fontware package consists of 10 true type fonts and a language tool kit. At any point size, there are 5 different barcode heights to choose from. At any height, the user has 2 options: either with human readable text or without. 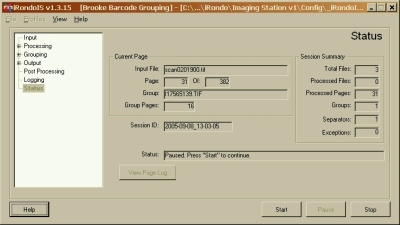 Barcode ActiveX Control.Add Barcode Printing to Access, VB, Web pages, C++, Excel etc. 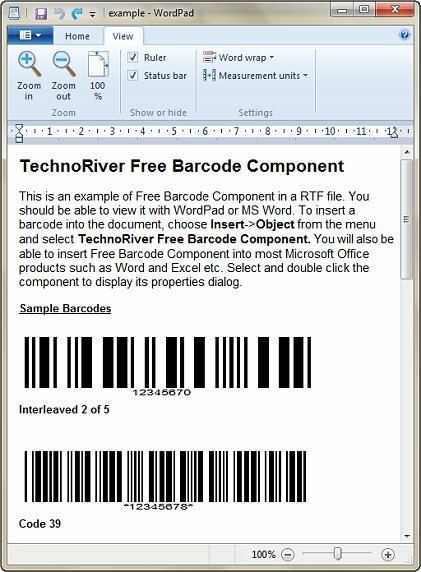 Simply insert the BarCode ActiveX Control into your application and specify a few properties in the properties window and your desired bar codes will be generated. Retail Man POS is a software that converts your PC into a Powerful Point Of Sale system as the COMPLETE Retail Business Solution, functioning simultaneously as an Accounting and Invoicing System. This Code 128 Barcode Font Package contains 6 sizes of TrueType and PostScript fonts and includes PrecisionID Font Formatting Components �. The package also contains complete documentation, specifications and implementation examples. Asset Navigator is an integrated Help Desk and IT Service Management solution that enables you to streamline all aspects of your IT infrastructure - from Service Management to automated Asset Management and Network Administration. Version 5.1B Click to Register this Product Now! 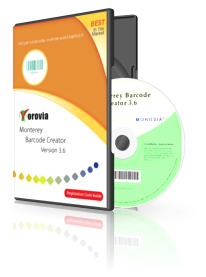 Morovia code 25 barcode fontware package consists of 10 true type fonts and a language tool kit. At any point size, there are 5 different barcode heights to choose from. At any height, the user has 2 options: either with human readable text or without. Morovia MSI/Plessey Barcode font consists of 10 true type fonts and a language tool kit. At any point size, there are 5 different barcode heights to choose from. At any height, the user has 2 options: either with human readable text or without. Morovia Codabar barcode font package consists of 10 true type fonts and a language tool kit. At any point size, there are 5 different barcode heights to choose from. At any height, the user has 2 options: either with human readable text or without. 32Tech Code 39 Barcode Font Pack lets you create, display and print high quality code 39 barcodes in any program supporting TrueType fonts. It also includes Microsoft Office templates, sample documents, help documentation and encoding software. Asset Aide provides affordable fixed asset management. Complete fixed asset records are maintained via an easy to use interface. Reports may be grouped and sorted in a variety of ways to provide the report that is most useful for your company. This flexible, easy-to-use inventory system that keeps your business running smoothly is easy to customize, easy to expand, easy reporting, easy interface to accounting systems, and is secure. Alloy Network Inventory is a comprehensive, budget-friendly, easy-to-deploy network inventory solution that provides you with accurate and up-to-date information from every computer on your network. Free trial version is available for download. We are launching a new edition of revolutionary improved version of Online Store Kit 3.0 Lite with new features. We are launching a new edition of revolutionary improved version of Online Store Kit 3.0 Pro with new features. We are launching a new edition of revolutionary improved version ofOnline Store Kit 3.0 Standard with new features. PHP Portal Builder features allow you to create and maintain your site easily and quickly. Its meeting-all-requirements technical characteristics allow us to claim that this software is a universal solution for majority of online businesses. 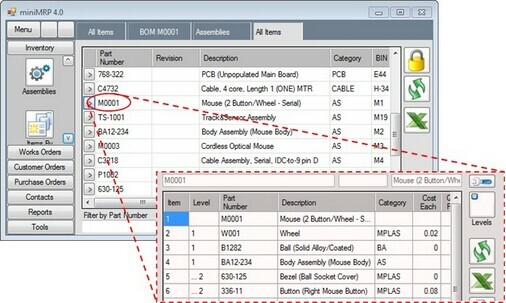 Don't need all the extra features of MPB 5.6.6?Just want to keep track of parts and cost?Try the Standard Version of MPB.Create as many databases as you like and title each one what you will.Used for tracking Computer Parts,Automobiles,Etc. We are launching a new edition of revolutionary improved version ofOnline Store Kit 3.0 Standardr with new features. Version 1.0.0.2 Click to Register this Product Now! The fast, easy solution to automate the tracking, Inventoring and managing IT assets and user’s help requests. Ideal for IT departments tracking and managing hundreds of workstations in a LAN /WAN environment. We are launching a new edition of revolutionary improved version of Online Store Kit 3.0 Liter with new features. The Intranet Help Desk of the Future! A leading new generation of enterprise software applications built from the ground up on Internet architecture, and for such applications, available for the first time ever on a 'try before you buy' basis. Morovia code 11 Barcode font consists of 10 true type fonts and a language tool kit. At any point size, there are 5 different barcode heights to choose from. At any height,user has 2 options: either with human readable text or without. Version 2.8 Click to Register this Product Now! Easily creates bar code labels for all your request by your desktop printer. Use Barcode Maker to make your id card, name card, bussiness card, price label and more. Supports text, line, circle, rectangle. Also supports ean, upc, code 128 bar code. 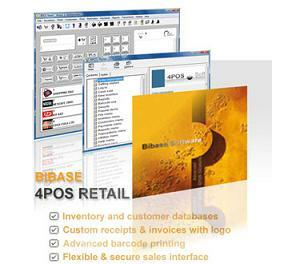 POS software for Mac OS X.